Summer time calls for festivals and there are so many different kinds of festivals that you can attend over the summer. The heat can make it tough so when it doubt don't sweat it out. Keep rad in the Brooklyn Cloth festival attire! Food truck festivals are the best because who doesn't like to sample a little bit of everything and anything in one day. 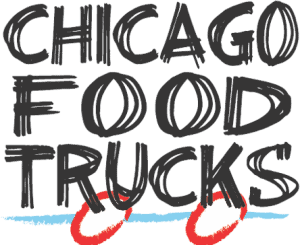 IF you are from the Chicago area they have the annual Chicago Food Truck Fest on June 24th and June 25th! They have an estimated of 40 to 50 different food trucks and also a Sangria Garden! This event not not only has food and tasty treats but they also bring their guests live but also have games such as corn hole and jenga. Now what should you wear to this festival?! Rock out in our Windy City Chicago apparel! Represent Chicago the best way possible wearing one of our Chicago tanks or Windy City Tee and don't forget to accessories with our Chicago pins. A different type of festival would be the Governor's Ball Music Festival located at Randall Island in New York City. The festival launched in 2011 and features a broad style of different music genres from electronic to rock. This music festival brings in so man different kinds of people because of all the different music styles offered. You don't have to bounce around from stage to stage if you want to wait to see your favorite performers you can enjoy some great food, play games and even enjoy the New York City arts by meeting some of the finest New York street artists. Sun's out gun's out! Enjoy the Governor's Ball rockin one of our tank tops from the tanks collection for men on brooklyncloth.com. One of these tanks will get you noticed and other s will be asking where you got the dope apparel from. We are all about The Jogger and The Jogger Shorts so instead of wearing jeans you can rock the cargo shorts because they have additional pockets on both sides that have a button flap to close. These shorts play it safe when it comes to your car / house keys and your wallet. There are so many different festivals and we wish we could list them all! If you have a favorite festival in your area we would love to hear about it as well as your experience!